This page is no longer active, I will keep it up for a few more months. Read the Elizabeth's HELLP story told through her husband Shawn. Does Snoring affect a Pregnant Mom & her Blood Pressure? Childbirth is certainly an amazing experience. Unfortunately sometimes that experience becomes a complicated and uncertain event. HELLP Syndrome can be one of those experiences that can complicate pregnancy. Stories of how each mom and family deals with HELLP may bring hope, strength and courage to others out there who are just experiencing HELLP/ pre-eclampsia or who have already went through HELLP or those who are just researching HELLP. It stands for Hemolysis, Elevated Liver, Low Platelet. For more information on HELLP please refer to my HELLP Syndrome page . If you have an HELLP Syndrome story please take a moment to share it with us. Please tell us what lead up to your having HELLP and what the outcome was and how you are doing today and whether you have had any pregnancies since having HELLP. There are over 100 stories to pick from. Click here for Birth Stories up to and including 30 weeks of Pregnancy Click here for Birth Stories from beyond 30 weeks of pregnancy. Over 10 new stories this week! NEW - HELLP Stories in Spanish! one in our new spanish section! Can you offer support or encouragement to these readers? any info. you have would be very much appreciated! Thank you for this web site I delivered my daughter almost two years agowith a severe case of HELLP that was misdiagnosed by my doctor as being a nervous first time mother. I have searched and searched for information on HELLP and was never satisfied with what I found until now. As I consider having a second child I feel more confident in knowing the questions that I should ask my new OB and what my risk factors are for a reoccurrence as I ve been told by several OB that there is no risk. 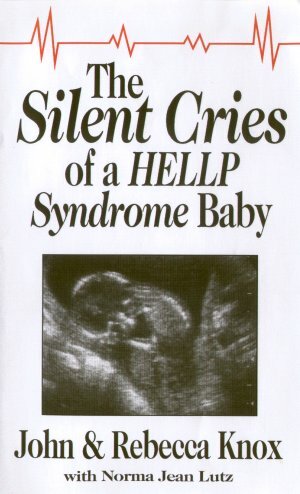 Journals: Read the passages of moms who are going through or who have went through another pregnancy after having HELLP. Amber's Pregnancy Journal-Amber is pregnant again! Congrats & keep us updated! Cristen's Pregnancy Journal - It's a boy! Ms. Zellner has represented HELLP and Pre-eclampsia cases. Don't forget that there are many, many, many more articles listed in this link!